Mark Rigging an Envy mast at the factory in Mona Vale. 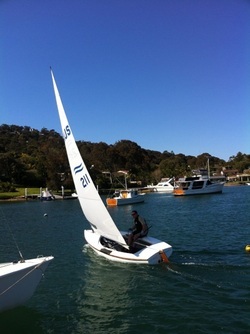 Dinghy Sports uses masts supplied by Goldspar and Spunspar. Dinghy Sports is an approved repairer of Lasers and Optimists. Dinghy Sports also repairs water craft, such as surf skis, kayaks and out rigger canoes. Mark is a carbon fibre specialist and is also available to repair damage to larger yachts at your choice of location. If your Opti gets damamged in the argy bargy of racing bring it to Dinghy Sports for repair. 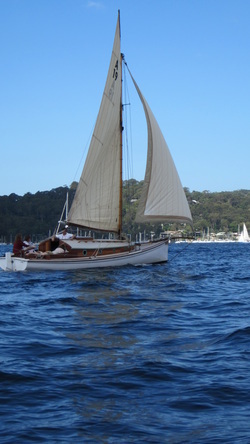 Mark is available to restore and repair your vintage yacht.